Home Windows Edison | Window & Door Outlet, Inc. 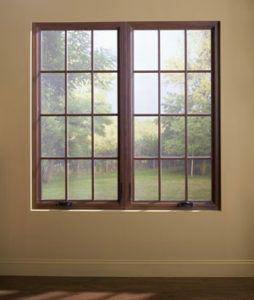 If it’s Time to Replace Your Home Windows, Contact the Professionals at Window & Door Outlet, Inc. If the windows on your home are no longer providing the beauty and functionality they once did, Window & Door Outlet, Inc. can help you choose the perfect replacements. We sell and install vinyl windows that can improve your home’s curb appeal while also providing energy efficiency and an added level of protection against the elements. We have more than two decades of experience installing replacement windows for homeowners in Edison, New Jersey and throughout central New Jersey, and we’re proud that our commitment to customer service has helped us earn an A+ rating with the Better Business Bureau. When you partner with Window & Door Outlet, Inc., you will be able to choose from the most popular styles of home windows including bay, bow, casement, double hung, awning, picture, sliding, and more. You will also be able to completely customize your selection to match your home’s aesthetic by choosing from various colors, woodgrain finishes, glass packages, and hardware options. What’s more, our vinyl replacement windows have a polyurethane core in their frames and low-e glass, which can help reduce heat transfer and make it easier for your HVAC system to maintain an even temperature in your home. This could lead to a savings on your monthly energy bills. If you would like to see for yourself why the home windows we offer are a popular choice among homeowners, contact Window & Door Outlet, Inc. today or visit our showroom in Edison, NJ. Financing plans are available to homeowners who qualify.